Portions of western Morris County have been served by Monk’s Home Improvements since 2007. Monk’s takes pride in delivering you a painting or carpentry job that you’ll enjoy for years to come. We guarantee it. We use only the highest quality paints and materials to ensure your project lasts. George Day manages all of the Monk’s Home Improvements projects for Chester NJ and Peapack-Gladstone NJ. George is a seasoned carpenter and designer and has been working in the field for more than 15 years. George lives with his wife and three young sons. The littlest Day arrived after this photo was taken. 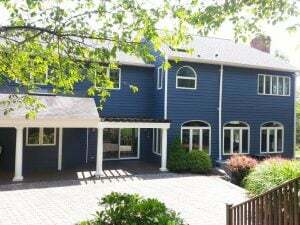 George will tell you why we are the best painters in Chester NJ! We know you’ll be satisfied with your painting project. In fact, we guarantee it. If you need something repaired, replaced or built from scratch, the experienced carpenters at Monk’s can make it happen. 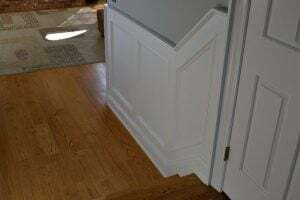 We do everything from trim repair and replacement, to more involved work like custom built-ins and porticos.